Here’s where we are (red dot)…Watch the Bellano Italy Video! 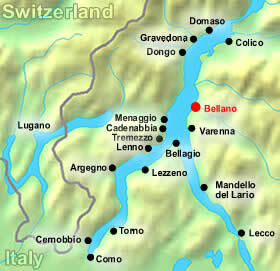 Bellano hotels are situated among winding roads and important ancient monuments, nearby a beautiful lakeside promenade. Bellano is the next best place to run to when nearby Varenna (10 minutes drive) gets overbooked!